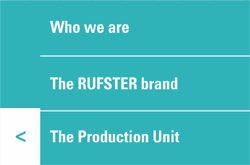 RUFSTER has modern production lines, completely automated, with computer managed out-turn that conveys a great deal of precision to the technological flow. 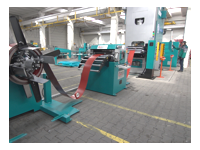 The Unit is new, with a surface of nearly 2.200 sqm, equipped with two slide cranes, drive-in loading and unloading capacity and covered storage spaces, both interior and exterior, with a surface of over 1.500 sqm. 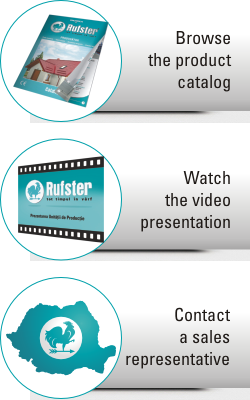 With a production capacity of over 7,3 million sqm per year, with 20 automatic production lines, with constant investment in base material stocks, RUFSTER is planning to develop a national distribution network. 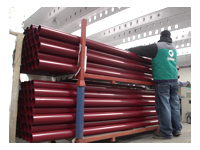 The production is based on the customer orders we receive and the reseller needs, so that the end-user can obtain the products according to his exact request, fitting the requirement of his project, without material loss or excess, delivered in due time to the working site, ready for installation. 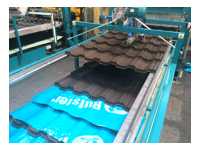 Besides the products manufactured in the Production Unit, RUFSTER also offers complementary products for the roofing and cladding systems: roof membrane, drainage system and installation accessories, all of good quality.